The fundraising to support the new Baseball/Softball teams for Southern Lyon County was kicked off at a baseball tournament last weekend! Community support is needed to help get the program started. 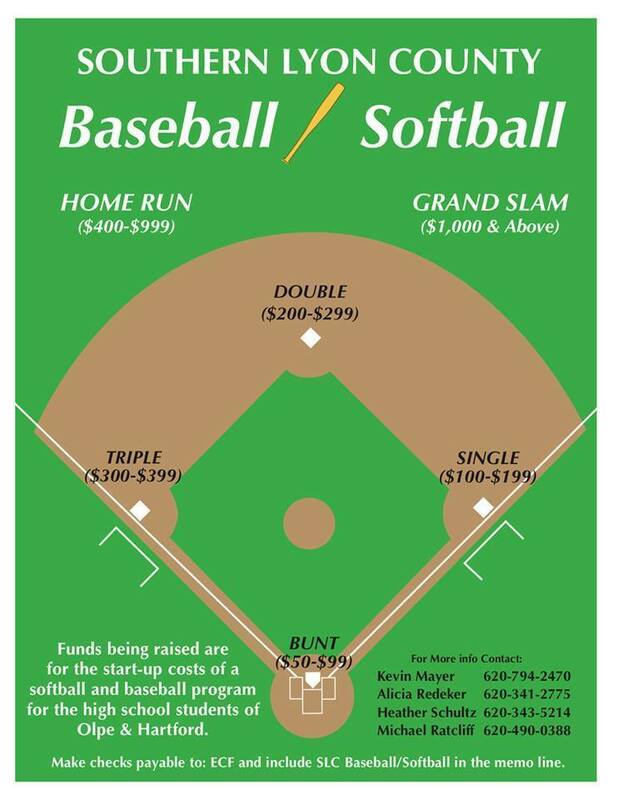 This flyer shows the different levels of giving and represents a full size banner that will be hung at the fields to give recognition to those who have supported the startup of the SLC Baseball/Softball teams. For more information or to contribute contact the individuals listed.